Fangirls, this isn’t the nerdiest of drinks, but as of last night, it’s one of my favorites. We found this recipe in one of the free magazines that our grocery store gives out, and I’ve been really excited to make it. Start off by getting yourself a crockpot. This recipe takes awhile, which kind of stinks because I’m not the most patient person, but it’s well worth the wait. 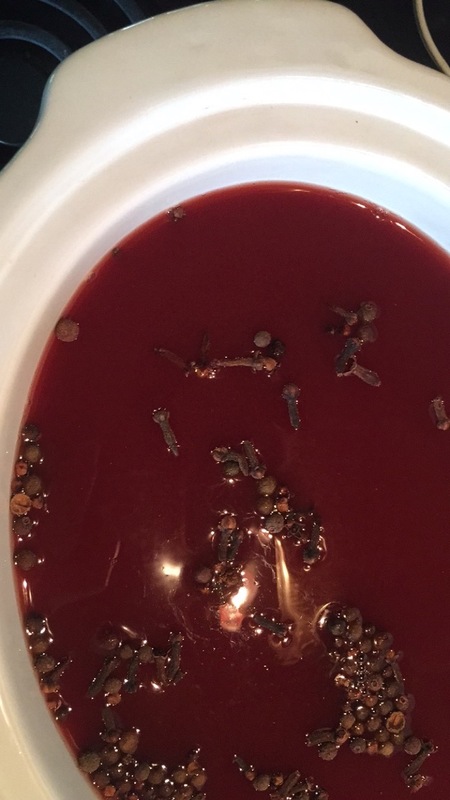 Turn your crockpot to low as you add the cider (not sparkling), pomegranate juice, cinnamon, cloves, and allspice berries. Then leave it be for 2 – 4 hours. I found that doing other things helped me deal with how long it took. I did some laundry, got ready for the day, ate some cake. About 2.5 hours in, I gave it a taste and loved it. So I turned off the crockpot, and we ran our errands. The more time the dry ingredients hang out in the cider, the better. As the cinnamon sticks filled with liquid, they sank to the bottom. After we came back from the errand running, I turned it back on to low. 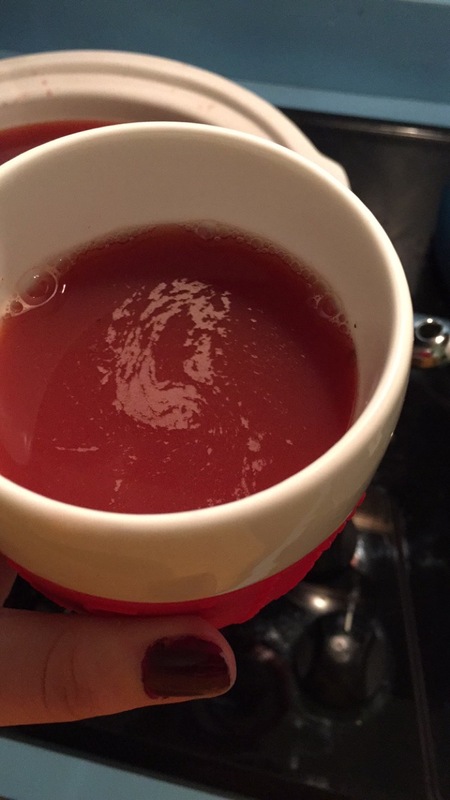 We had guests over, last night, and I wanted to have hot apple cider to drink while they were here. But I found that low only made it warm. So I cranked it up to high, and ten minutes later I had some nice hot mulled cider. I pulled all of the dry ingredients out with a slotted spoon, then added the lime juice and sparkling cider. It smelled phenomenal. Everything turned really red, courtesy of the pomegranate juice. When serving it, I added a shot or so of Kentucky Cider Whiskey to each glass that I had, and that was great. And without the whiskey was wonderful too! 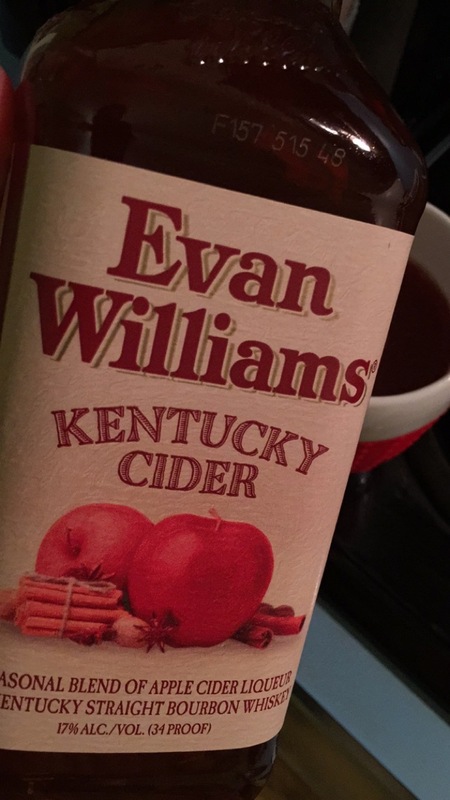 I just think that cider whiskey is the way to go if you’re puttin’ booze in this cider. 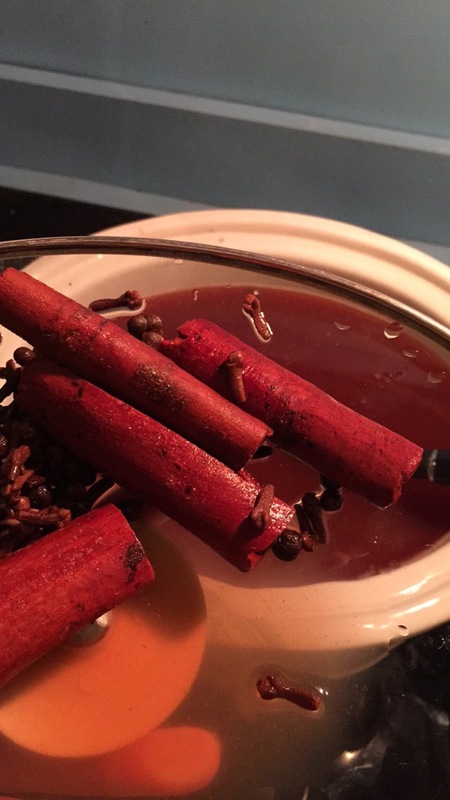 Whether you drink it with or without alcohol, this is the perfect winter and fall drink. 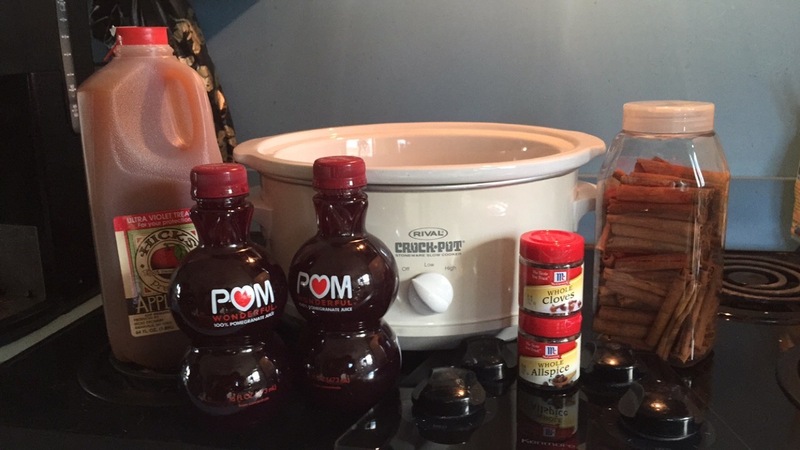 It does take a bit of preparation, but it serves 10-12 people, and if you don’t add the booze directly to the crockpot, it makes a great morning drink too! I am so excited to have found this, and plan on making it well through the new year. All images and recipes depicted are copyright of their respective owners.